The Customs Service, Seme Border Area Command, says it has arrested a fake corps member suspected of specialising in smuggling banned vehicles into Nigeria through Seme border post. The Customs Area Controller, Comptroller Mohammed Garba, said this on Wednesday at a news conference in Seme. The arrest was made on Sunday when the suspect was bringing in the vehicle without any document across the border. Garba said the suspect claimed to be a youth corps member. 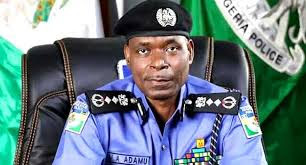 “He claimed to have the phone number of the Inspector-General of Police and many other personalities. The suspect, however, denied the allegations, during an interview with newsmen. He said he drove someone to Ghana and was on his way back to Nigeria when he was arrested by men of the Customs.